You know, I believe this is the second month in a row that I picked up my copy of the 4 County Mall while walking into a hospital. This is not a good habit to get into. Look for your free copy in a newspaper box, hopefully in a more upbeat place (in Albion it’s available outside Albion Village Foods, for instance). 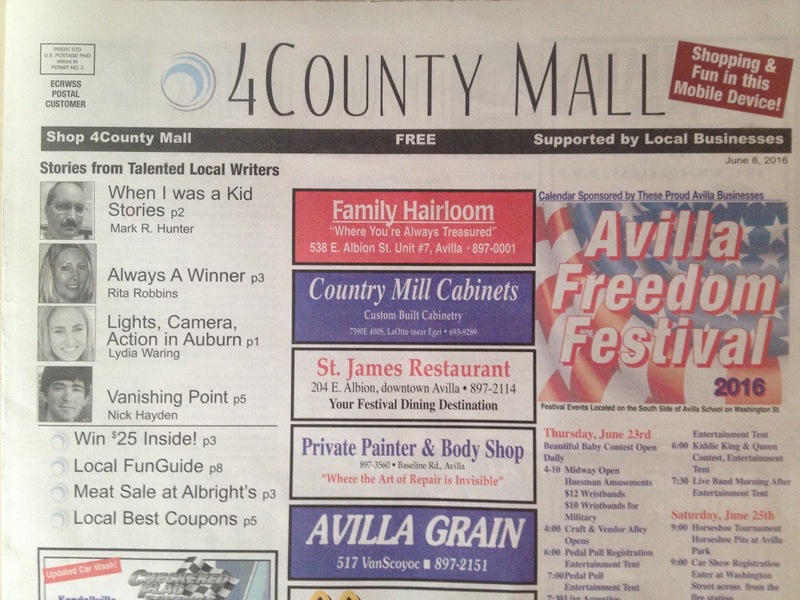 It features four local writers, along with various local information and shopping stuff. It’s like one of those newfangled tablet things, only it doesn’t need charging.